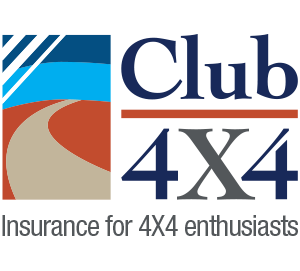 Looking to put your 4×4 skills to the test? 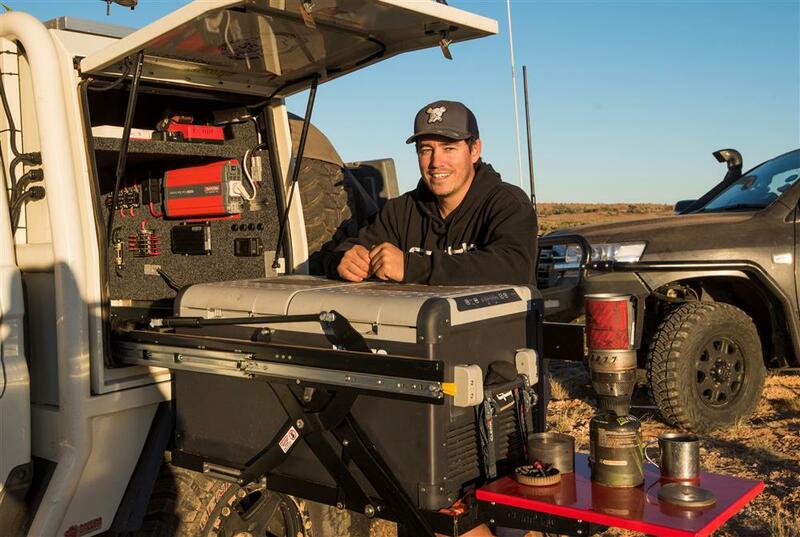 Shaun Whale from Australian 4WD Action offers up his top 5 toughest tracks from across the country, so buckle up! I’ve picked out these tracks because I believe they are some of the most fun and challenging tracks in the country. They are not the hardest or the ones likely to cause the most amount of panel damage, instead they are chosen for you to really test your vehicle and have a lot of fun in low range. While all of these tracks are A grade, most can be tackled with a small lift, 33 inch tyres, lockers and a winch, which is a must have. This is probably the most well-known track in the Glasshouse Mountains and a great one to start on if you are looking for something challenging. The beauty about the Powerlines track is that there are many different side tracks that will cater for 4WDs of all levels. To find it, take the Beerburrum Woodford Road and turn down Raaen Rd, take the third left turn and that is the beginning of the track. You come out to where the powerlines are and make your way back to the Beerburrum Woodford Road via a series of tracks. At the end of this track you have the infamous Little and Big Red tracks, but you can bypass these if you want. If you are looking for one of the most fun tracks in the country, it is hard to go past Monkey Gum. This is quite a long track that winds its way up a mountain. There are a stack of challenges all the way up this track and they range from big ruts to challenging little rock steps. It’s very technical and there are different lines for vehicles of all modification levels. This track finishes at a lookout over Yalwal. This track is listed on most GPS units and you find the start of the track by heading down the main tracks into Yalwal until you get to Wombat Flats, then look for the Monkey Gum Fire Trail. 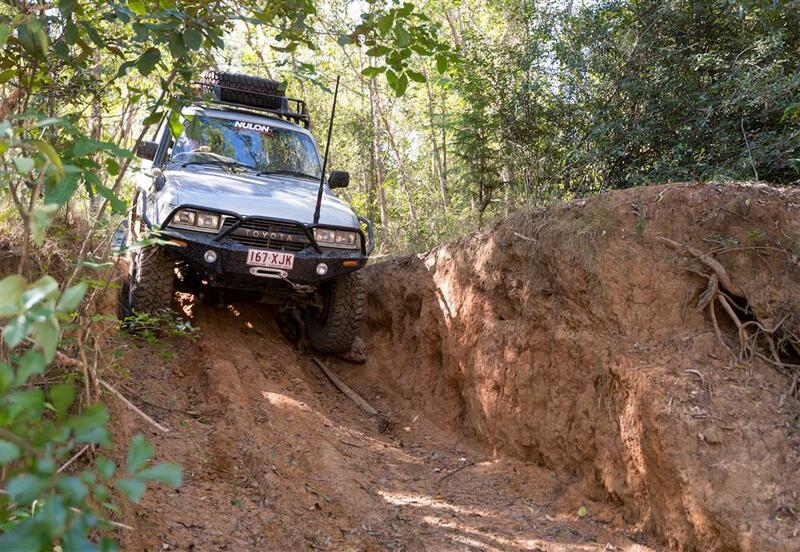 There’s hardly any doubt amongst 4WDers, that Coffs Harbour has some of the most insane 4WD tracks in the country. Ones that are just downright terrifying to drive and are more than likely to cause your vehicle all sorts of panel and mechanical damage. Commando is a track that is certainly tough, but still doesn’t get a look in when you mention the top 5 hardest tracks in the country. I think it’s a very challenging track, in fact you may even recall I put the Dirty 30 on its side there from picking a bad line. I’m not trying to put the wind up you with that comment, but it is a challenging track and very unforgiving if you do get it wrong. In saying that, a friend of mine in a D40 Navara with twin lockers and 33in tyres walked up Commando on the same day I rolled over and made it look easy. To find the Commando Trail, it’s really easy. Turn left after the Big Banana on Bruxner Park Road and look for Mount Coramba Road and Commando is right off that. It should be marked on your GPS. This is a great track that, as the name suggests, takes you through a massive cut out in a rock up a series of steps. A really challenging little track that also is a lot of fun to negotiate through some very technical driving. If you are in a large vehicle, like a Cruiser or Patrol, the gap between the rock that you have to drive through is very tight. I suggest you get a mate to spot you through that very technical bit as to make sure you don’t add to the collection of paint that has scraped the rocks. 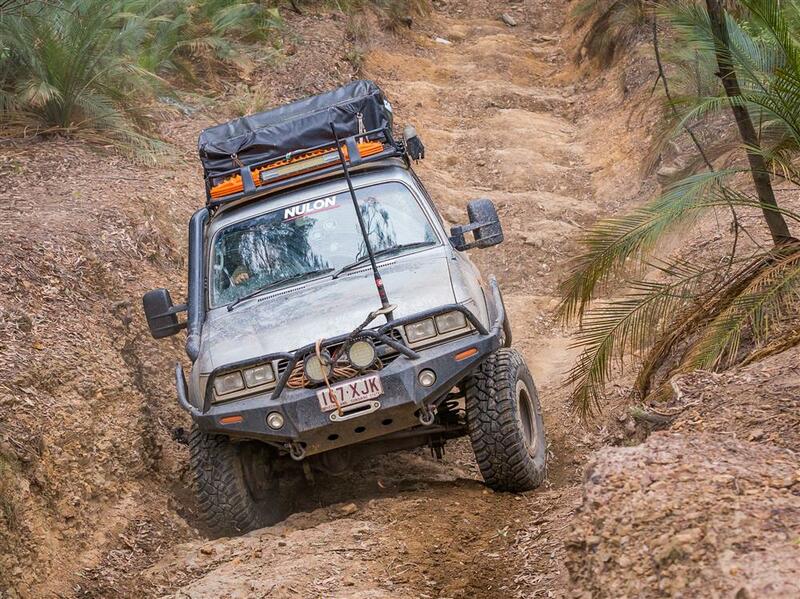 The hardest part of this track is the start, where there is a series of rock steps that are exactly a Landcruiser width wide and in a position where your front and rear wheels are trying to climb at the same time. Without a front locker, I packed a few rocks under my wheels, but had to resort to the winch to get me over one of those steps. Cut Rock Road will be in your GPS and you can’t miss the start of the track once you see the massive rock with a 4WD width gap that you need to drive through. I have put this area in because it had a lot of fun challenges for 4WDs of all modification levels. Mostly, you will find big ruts and washouts to test your technical driving skills and you’ll no doubt spend more time on three wheels than four! There’s not one defined track in here, rather a series of tracks that all link up that offer a lot of challenges. 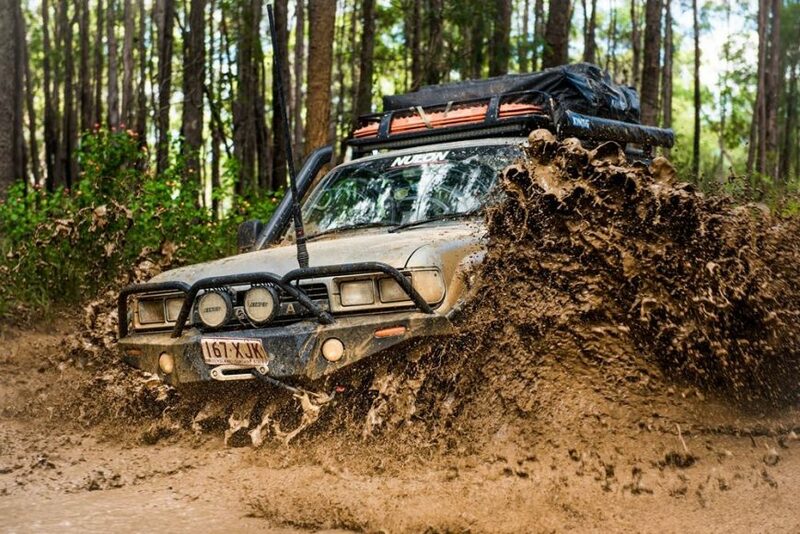 Pine Creek is about 25min west of Bundaberg and what I would call, a 4WD play area. It’s a great place to spend a weekend driving hard tracks and the beauty of this region is that once you are done lifting wheels you can drive to the coast to one of the best coastal camping areas you are going to find. This region really does have it all! 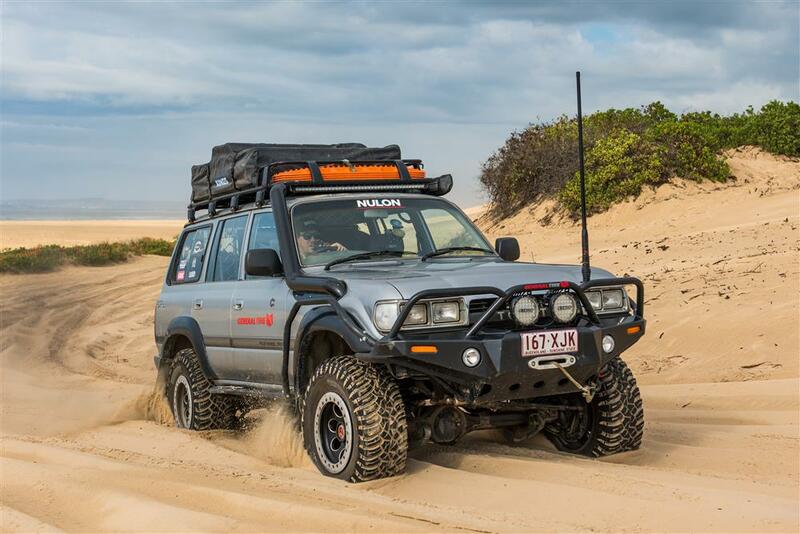 For more top tips and expert advice from Shaun Whale visit the Australian 4WD Action experts choice page.